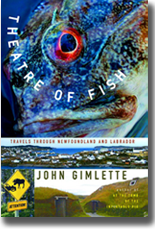 John Gimlette is an award-winning travel writer, having won the prestigious Shiva Naipaul Prize for travel writing in 1997. 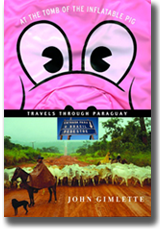 He is the author of four books: 'At the Tomb of the Inflatable Pig: Travels in Paraguay', 'Theatre of Fish; Travels in Newfoundland and Labrador', 'Panther Soup: A European Journey in War and Peace'. 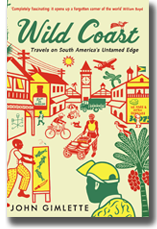 'Wild Coast; Travels on South America's Untamed Edge', launched in February 2011. He also regularly contributes articles and photographs to a wide range of magazines and broadsheet newspapers. 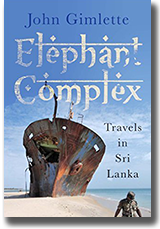 All four books have featured on BBC Radio 4, and the first two were nominated by The New York Times as being among the '100 Notable Books of the Year'. 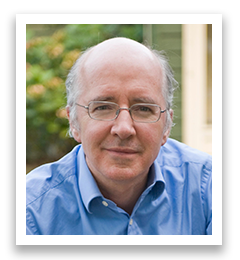 John's writing is highly praised by reviewers and readers alike for its originality and elegance. His work draws on wide-ranging research, ambitious itineraries and a keen eye for the curious. 'As a historian of the absurd,' wrote one journalist of Gimlette, 'he is superlative'. His travels have taken him from places as diverse as Laos and Eritrea, and through almost every country in Latin America. Along the way, he's worked as a ranch hand, taught English, and manned a frontier-post for Bolivian customs. He now lives in London where he also practices as a barrister. "Wild Coast" was awarded the Dolman Travel Book Prize in 2012, and, in 2015, was nominated by The Daily telegraph as one of "The Twenty Best Travel Books of all Time". "Gimlette is in the highest Class"
"Gimlette writes with enormous wit, indignation and a heightened sense of the absurd... [he] has given us a cast of characters as vivid as any by Dickens or Waugh."